Matthew is an experienced criminal and civil trial attorney whose diverse national practice focuses predominantly on white-collar criminal and regulatory defense and complex commercial litigation. He serves as the co-chair of Fox Rothschild’s White-Collar Criminal Defense & Regulatory Compliance practice group, and also holds leadership roles in the Association of Criminal Defense Lawyers of New Jersey (Officer) and the Essex County, New Jersey Bar Association (Trustee). Known for his sophisticated command of emerging issues at the intersection of technology and the law, Matthew is particularly knowledgeable in e-discovery, digital forensics, data privacy, social networking and cybersecurity. His clients routinely rely upon him to advance their interests through the use of technology driven evidence like e-mails, text messages, internet IP address and intrusion analysis, metadata, and cellular tower triangulation – to name just a few of the novel forms of evidence that Matthew has demonstrated a mastery with over the course of the last decade. He represents companies of all sizes facing or pursuing civil litigation, public officials confronting corruption or official misconduct charges and individuals and entities facing a broad range of regulatory enforcement actions and criminal charges including, but not limited to, fraud, theft of trade secrets, possession and distribution of digital contraband, commercial bribery and extortion. Outside the courtroom, Matthew is a vocal advocate for veterans’ rights, particularly as relates to the treatment of veterans suffering from mental health and dependency issues resulting from their service to our nation in theatres of combat. Additionally, in May of 2018, Matthew was appointed by the President of the Essex County, New Jersey Bar Association to chair a special commission to raise funds and provide logistical coordination for the large-scale, no questions asked buy back of illegal firearms to remove them from the street and make our communities safer. More on each of the focus areas of Matthew’s practice is found by following the practice specific links below. Meticulous, zealous and ethical, Matthew defends individuals and entities facing state or federal criminal charges, regulatory or enforcement actions or that are the target of an investigation by enforcement agencies or regulatory bodies at all levels of government. Matthew represents individuals and businesses in the prosecution and defense of complex civil actions. 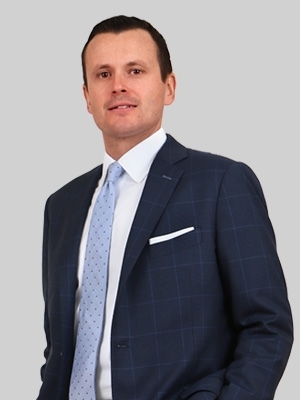 Entrepreneurs, startups, closely held businesses and Fortune 100 companies rely on Matthew’s pragmatic business sense and effective litigation skills to prevail in their commercial disputes. Technology is pervasive. Matthew helps clients harness it to their benefit in legal matters, and protects their rights in the face of technological innovations that have, in many cases, outpaced the development of the law. He strategically employs digital forensics and other cutting-edge techniques to build and defend cases, often breaking new legal ground in the process. Service to those who have sacrificed for our freedoms as Americans is something that Matthew takes great pride in doing. Whether through pro bono engagements at Fox Rothschild’s free Lyons, New Jersey Veterans Administration facility legal assistance clinic, or advocacy for new legislation embracing the diversion of veterans out of our criminal justice system and into the health care system, Matthew focuses significant efforts on giving back to the men and women who have sacrificed so much in the name of liberty. Getting illegal and unwanted firearms off the streets, while incentivizing those who might possess such weapons to come forward and surrender them safely without fear of prosecution is an initiative entrusted by the Essex County, New Jersey Bar Association to Matthew. Spearheading a massive fundraising and public safety outreach program in New Jersey’s third-most populous county is no small task, but an endeavor that Matthew takes great pride in pursuing through a public-private partnership.